Is there still a glass ceiling in insurance? “I focus on diversity and inclusion in the workplace in general, rather than the specific topic of the glass ceiling. The positive financial impact for diverse companies has been researched and well documented. 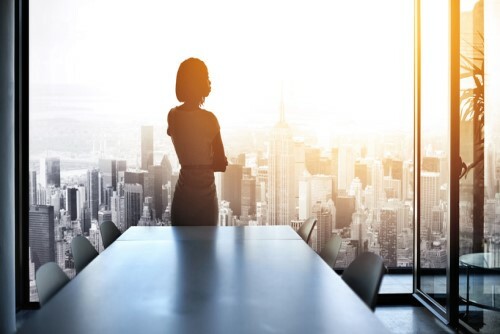 Attracting, developing, mentoring, sponsoring and retaining the next generation of global leaders at all levels must be a priority – and it is gaining focus among boards and other governing bodies. “The glass ceiling is still very real for women, as only 5% of Fortune 500 CEO seats are filled with women. Also, minorities hold only 1% of senior executive positions. I believe that change is coming, albeit slowly. At the end of 2017, we saw a strengthening of women in senior-level positions, but the minority pipeline has not gotten any stronger. “It’s more subtle than before – it’s evolved into glass walls. More women have a seat at the table, but it’s interesting to consider how we got there and what happens when we leave the table. More pressing is the issue of pay equality. The growing minority population in the US has not resulted in a corresponding rise in minority management and executives. Compensation has to track with talent, not gender or minority.